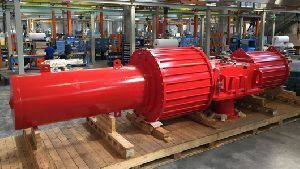 Rotork received an order from Hyundai Heavy Industries (HHI) to supply 220 pneumatic actuators for the Phase II of the Nasr full field development project in Abu Dhabi, UAE. The aim of the project is to increase the field’s oil production capacity to 65,000 barrels per day (bpd) from the existing capacity of 22,000 bpd. The actuators for the project measure 8.5 m long and weigh 19 tonnes each.